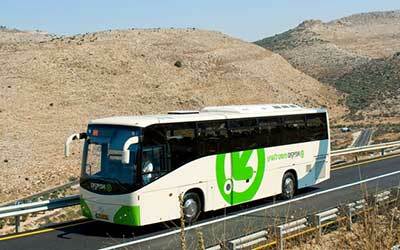 Afikim is a bus transportation company in Israel and is a part of the Sela Holding Company. The company acquired the operations of Veolia Transport (Connex) and currently has a fleet of over 350 vehicles. The company operates to major destinations including Ashdod, Bnei Barak, Jerusalem, Tiberias, Yane and more. Transway has installed over 250 Ticket Machines (Driver Consoles) as well as equipment numerous bus depots and the central office. The Personalization Stations were also installed and are running at over five (5) locations. Overview: Bus company that was established in 2008 and acquired Connex and Veolia companies in 2013. Runs over 150 bus lines. Transway develops, manufactures and assembles hardware for automated ticketing solutions. These machines and devices are designed to be sturdy and strong, and to withstand a wide array of weather conditions – heat, cold, rain, humidity, dust and snow. They need to withstand the entire gamut of road conditions as well. Even though they are tough and durable, they are also aesthetically appealing and intuitive to use, so that both drivers and passengers have an effortless experience during the boarding and alighting of the vehicle.